From Mediaite: Mitt Romney, 2012 presidential hopeful, made a big announcement this weekend: Rep. Paul Ryan (R-WI) will be his running mate. There have been mixed reactions to his choice, and some hecklers in Wisconsin made their political leanings clear. 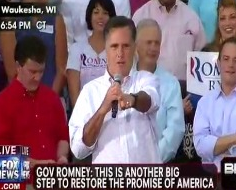 Writes Mediaite, “Speaking to a group of supporters in Waukesha, Wisconsin on Sunday night alongside his newly selected running mate… Romney was heckled by a protester in the audience. But Romney took the opportunity to forcefully shout down the protester and admonish him for his lack of respect and civility. 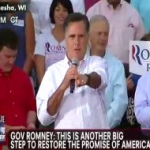 As Romney began addressing the seriousness of America’s unemployment rate, he was shouted down… ‘You see, young man, this group here is respectful of other people being heard,’ Romney shot back at the protester.” Read more about his speech here. From Gossip Cop: In the Robert Pattinson and Kristen Stewart rumors that won’t die following their cheating controversy, the press is speculating what information will be revealed as Pattinson begins his Cosmopolis press tour. Gossip Cop clears up the belief, his “press tour now includes a big stop at MTV. The network announced on Monday that the actor will do a 30-minute sit-down interview live on MTV.com Thursday night, just after he premieres a new clip of his movie on the cable network. It’s important to note that while Pattinson’s MTV interview is scheduled to last much longer than his upcoming appearances on ‘The Daily Show’ and ‘Good Morning America,’ he still will not be discussing the situation with Kristen Stewart. Pattinson will be promoting his movie, and quite possibly Breaking Dawn — Part 2 as well. That’s all.” Read the full story here. 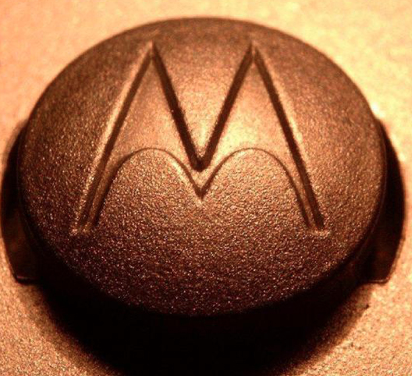 From Geekosystem: Changes in the form of cuts and restructuring have come to Motorola Mobility. Reports Geekosystem, “Google completed its purchase of the company back in May, mostly for the benefit of the Android’s patent portfolio, and is now moving forward with bold plans to bolster its new flagging subsidiary. 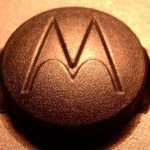 In order to make the company a leaner machine, 20% of Motorola Mobility’s work force will be let go, and 33% of their offices will be closed… As the world moves more toward wireless technology, Google intends to use its new purchase to better understand and explore the space. Sure, Google makes Android and partners with people to construct smartphones, but the company now owns the ability to directly craft mobile phones of their own design.” Read more about the acquisition here. From Styleite: She’s just being Miley! And that includes a new hair-do. Reports Styleite, “Miley Cyrus got a pixie cut, y’all! We’ve gotta say, we’re loving the edgy new look. And anything that takes you one step closer to looking like Robyn is a good decision in our books.It seems like the pop star has been switching up her hair game every couple of weeks lately, and now she’s finally taken the plunge and lopped it all off. Miley took to Twitter last night to silence the haters and tell her fans how happy she is with the transformation: ‘if you don’t have something nice to say don’t say anything at all. my hair is attached to my head no one else’s and it’s going bye bye .’ Cute, right?” Read more and see photos of her transformation here. From SportsGrid: Well, the Olympic games ended last night. So what’s in store for the world of sports reporting next? Writes Sportsgrid, “The Olympics are over, and sportswriters are having nightmares. The news scene is a barren wasteland. We’re tempted to go to the dark side… A sad time, indeed, and one that will force you to turn on the regular news and think about such unimportant things as the Presidential Election. 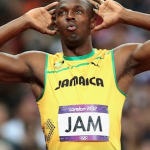 It’s also that time of year where the trolls emerge from their caves and create columns titled: “Usain Bolt Is Probably Doping (And You Know It).” No, you didn’t miss anything. 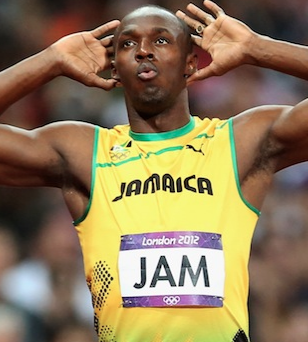 Usain Bolt still has zero positive tests for performance-enhancing drugs. But it’s a drought, people! That means it’s unsupported accusation time, and nobody’s safe!” Read more about the terrible things that could be reported here. 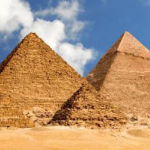 From The Mary Sue: Has the internet led to the next great discovery — of more pyramids in Egypt? 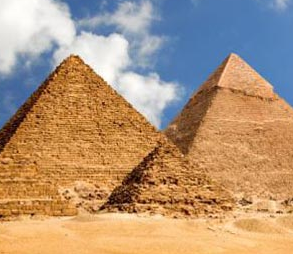 Reports The Jane Dough, “Lots of folks have tried to claim throughout the years that the famous pyramids of Egypt were built by aliens. I have a feeling this news will only strengthen those opinions. Google Earth may have accidentally found some undiscovered pyramids thanks to a photo taken from their satellite in outer space… According to Discovery.com, there are two possible pyramid complexes. ‘Located about 90 miles apart, the sites contain unusual grouping of mounds with intriguing features and orientations… one site in Upper Egypt… features four mounds each with a larger, triangular-shaped plateau.’ From what they can tell, the new site is arranged around a specific formation that is three times the size of the Great Pyramid.” Read more and see photos here. From The Jane Dough: There may not be a female presidential candidate yet, but at least women are making ground somehow in the 2012 election. Reports The Jane Dough, “Excellent news, ladies: CNN Chief Political Correspondent Candy Crowley will moderate the second presidential debate this year. She’s the first woman asked for moderate in 20 years. 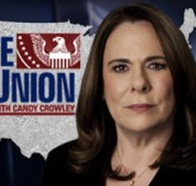 Crowley… will lead a ‘town hall-style debate’ Oct. 16, according to a statement CNN released today. The move to install Crowley in the moderator’s seat comes after increased pressure to include more women in the presidential debates. A group of three teens from New Jersey led a petition this summer they (intuitively) called ‘It’s Time For A Female Moderator.’ Their effort attracted over 100,000 signees.” Read more about it here. From The Braiser: The site is jealous of Londoners, and for good reason. 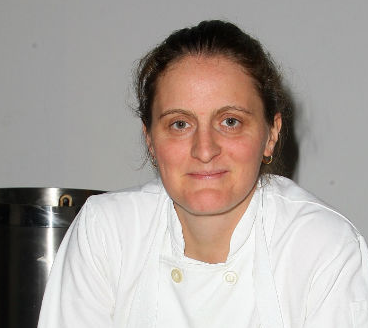 April Bloomfield is coming to cook for them. 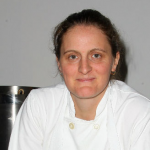 Reports The Braiser, “Michelin-decorated British chef Fergus Henderson often visits April Bloomfield’s New York City restaurants, The Spotted Pig, The John Dory, and The Breslin for short stints Bloomfield affectionately refers to as ‘Fergustock.’ But now Henderson is inviting Bloomfield back to the motherland to cook in his restaurant St. John for two days to mark the launch of her book A Girl and Her Pig. She’ll cook alongside Fergus for lunch and dinner on October 30th-31st in celebration of the book, which hits shelves November 1st.” Read the whole article here.